Solutions in London and the UK, Microsoft CRM, Microsoft Dynamics v. 4.x and 5.x, BI Solutions, CRM consultancy in London. Earls Court 2010 click here. There is a great demand for on line solutions like Microsoft CRM and other CRM Solutions. The excising systems are not compatible with each other , which is critical for any business in order to establish fast and reliable connection. Our experience in Microsoft CRM and other CRM Solutions, our skilled people, working with Microsoft CRM and other CRM solutions and our industrialised approach make us a preferred and reliable business solutions partner when it comes to system integration solutions. We do not just design CRM solutions, we deliver them. 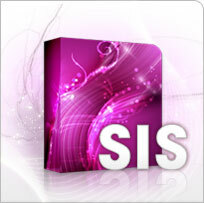 Based in London, we are one of the most established and experienced e-business solution providers focusing on E-commerce websites, ERP and CRM solutions ( especially Microsoft CRM, Dynamics CRM and other CRM Solutions).We are experts in integration of the existing back office solutions with the Internet for leveraging on the productivity of the business. 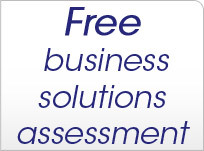 All business solutions provided are fully customised and build with the best practices in mind. CRM solutions (Microsoft CRM) include all the processes by which a company tracks and organizes the information and relations with its current and prospective customers. The CRM solutions software (Eg.Microsoft CRM) supports these processes – the customer data and each communication with them can be entered, saved and made accessible for employees from different divisions. The main goal of CRM solutions(Microsoft CRM) is to streamline the services offered to the customers and to use their contact information for targeted marketing campaigns. Better service creates loyal customers, increases the share of the firm in the customer’s budget and thus, more revenues are generated. We realize that even the best technologies and software cannot meet the needs of your customers per se. An integrated approach for a complete customer experience will turn a potential customer into a real customer and a one-time customer into a loyal customer, who is spending more. The team of PBS has a vast CRM (Microsoft CRM) Solutions and experience in automating sales, servicing customers, managing campaigns, call centers and case management. In the last couple of decades, companies and government entities implement ERP and CRM solutions with the goal of automating basic business functions – accounting, finance, budgeting, inventory management, orders, deliveries and manufacturing. In such a way, business processes which have been long managed on paper, via numerous Excel spreadsheets, in person or by the phone are centralised in a single information infrastructure by applying the best ERP and CRM Solutions. That leads to an increase in productivity and profitability and reduction of expenses. With the expansion of the Internet, many organisations start implementing e-business strategies and link their internal processes with the processes that relate to customers, suppliers and partners. 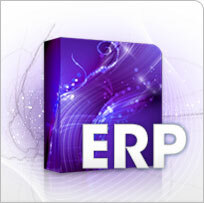 Our team has a rich experience in implementing leading ERP and CRM solutions. We possess the functional and technical expertise for implementation of either a complete ERP / CRM solution or of specific modules. 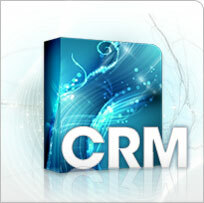 We offer full support of your Microsoft CRM or other CRM solutions system once the installation process is complete. BI (Business Intelligence) refers to business analytical models, technologies, information and practices for making more informed and precise managerial decisions. BI solutions are concerned with gathering, integration, analysis, aggregation, interpretation and presentation of data about sales, production, finance, etc. 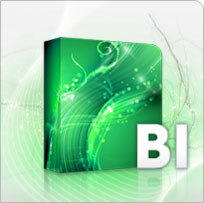 In general, business intelligence relates to clearly formulated knowledge that is extracted from the data. BI solutions offer historical, current and predictive view of the business performance with the goal of making the right managerial decisions on the basis of accurate and up-to-date information and predefined business models and analytics. We see the utilisation of BI solutions as the leading success factor for the business of the future, where the processes are optimised and the customers are satisfied. In a global economic recession, more than ever accurate information is needed in order to make the right business decisions with the minimum risk.